Election time: Vote to Send JPI to Netroots Nation! I guess I’m officially a blogger. JPI has a blog. I write for it every now and again. That makes me a blogger. Wow! Who’d have thought! So, why not try out for a scholarship sponsored by Democracy for America and America's Voice to attend the NetRoots Nation Conference for bloggers. I AM a blogger, aren’t I? My boss nominated me (it’s an honor just to be considered), and now all I need is your vote! “Let’s not send kids to prison unless there is an immediate threat. Let’s look at what works and what won’t cost the tax payers money.” That was a quote from Pat Nolan, Vice President of Prison Fellowship a nonprofit organization that advocates for criminal justice reform. Last week I had the opportunity to attend a bipartisan briefing titled “Reduce Crime, Reduce Costs, and Improve Lives and Communities through Evidence-Based Prevention.” The briefing focused on evidence-based intervention strategies that would prevent crimes before they occurred. 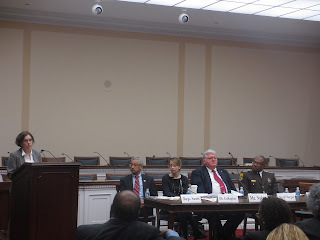 Originally introduced by Representative Bobby Scott (D-VA), the Youth PROMISE Act or the Youth Prison Reduction through Opportunities, Mentoring, Intervention, Support, and Education is designed to reduce juvenile crime and gang violence through evidence-based programs and intervention strategies that have been shown to be effective and be cost-saving. 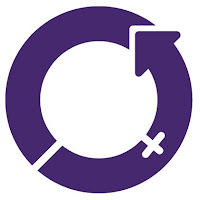 International Women's Day is an opportunity to reflect on changes needed around the world to improve the lives and status of women. Here in the U.S., the increasing impact of the criminal justice system on women is one of the most pressing human rights and social justice issues of our time. More women are ending up behind bars than ever. Between 1980 and 1989, the number of women in U.S. prisons tripled. And the number of women in prison has continued to rise since. In the last 10 years, the number of women under jurisdiction of state or federal authorities increased 21 percent, to almost 113,000. During the same time period, the increase in the number of men in prison was 6 percentage points lower, at about 15 percent. The increase in women in the federal population was even larger- over 41 percent from 2000 to 2010. After a recent, narrow defeat of what would have been the largest private prison expansion in United States history in the Florida House, JPI went to the Hill last Thursday to discuss the dangerous private prison industry and its effect on American communities. The four person panel drew a crowd of over 50 people.